Timothée Chalamet hung out with Nicki Minaj and Shania Twain at Coachella. 28. Timothée Chalamet hung out with Nicki Minaj and Shania Twain at Coachella. 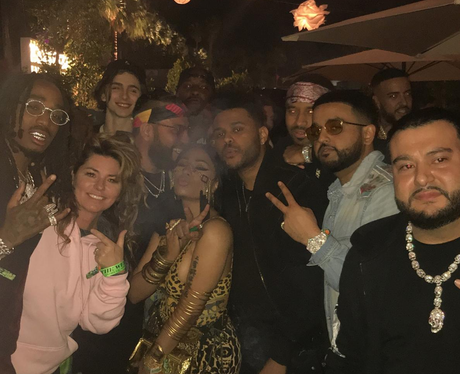 Nicki Minaj shared a couple of photos from the first weekend of Coachella 2018 and in one picture Timothée Chalamet, Shania Twain, Nicki Minaj, The Weeknd and French Montana are posing together for the photo at a backstage party at the festival. Time for Lil Timmy Tim to make a comeback? We think so!